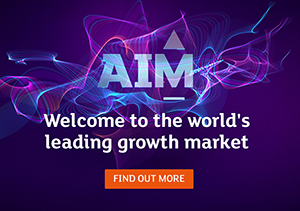 Secure funding and support for your high-growth company’s ambitions with AIM. Find out more about London Stock Exchange's Market Open Ceremony and who's opened trading this week. Over 500 members worldwide trade on our platforms, enabling investors and institutions access to some of the world’s leading markets. The capital raising centre for luxury brands. European single market trading venue of choice. ELITE is an ecosystem designed to help ambitious companies scale up, structure for growth and access a range of funding options. FTSE Russell calculates thousands of unique end of day and real-time indices from more than 80 countries and all major asset classes. The Group operates a broad range of international equity, ETF, bond and derivatives markets, including London Stock Exchange; Borsa Italiana; MTS (a European fixed income market); and Turquoise (a pan-European equities MTF). Through its platforms, LSEG offers market participants, unrivalled access to Europe's capital markets. The Group also plays a vital economic and social role, enabling companies, including SMEs, to access funds for growth and development. Through FTSE Russell, the Group is a global leader in financial indexing, benchmarking and analytic services with approximately $16 trillion benchmarked to its indexes. The Group also provides customers with an extensive range of data services, research and analytics through The Yield Book, Mergent, SEDOL, UnaVista, XTF and RNS. Post trade and risk management services are a significant part of the Group's business operations. In addition to majority ownership of LCH, a multi-asset global CCP operator, LSEG owns CC&G, the Italian clearing house and Monte Titoli, a leading European custody and settlement business. LSEG Technology develops and operates high performance technology solutions, including trading, market surveillance and post trade systems for over 40 organisations and exchanges, including the Group's own markets.